A boy found dead at a house was stabbed in the chest, a post-mortem examination has found. 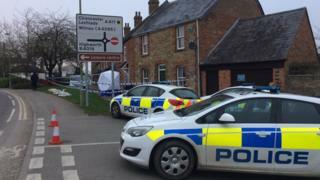 Police launched a murder investigation after five-year-old Tyler Warmington was found at Bromsgrove Cottages in Faringdon, Oxfordshire, at about 13:20 GMT on Tuesday. Police said his next-of-kin had been informed. A 40-year-old woman arrested on suspicion of murder has been released on bail until 12 April. 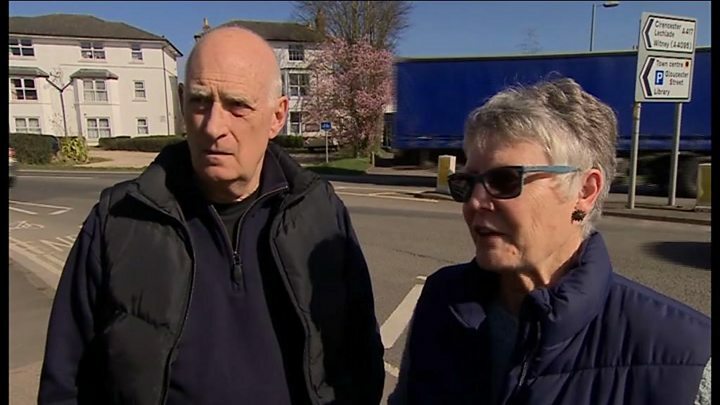 Image caption Police have increased their presence in the area "to provide reassurance"
Det Ch Insp Ailsa Kent of Thames Valley Police's major crime unit said the investigation continued. She added: "You will appreciate this is a difficult time for his family and we continue to work with them and offer support as the investigation continues." Police sent a letter asking to speak in person to all residents "within the area of the crime scene". Visit our live page for the latest updates. The letter said: "As part of the investigation we need to speak in person with all residents within the area of the crime scene as to anything they may have seen or heard. "In the first instance, one member of the household will suffice." The scene remains cordoned off on Thursday and there is still an obvious police presence. The main difference is the growing number of floral tributes, messages of sympathy and soft toys which have been placed on the grass nearby as local people try to come to terms with what happened. In the light drizzle, a single candle is burning in memory of the boy who died.